Celebrate togetherness with your kids. Let your kid feel like the princess and be the center of attention for your family. For a kid, it is always a picture of a happy family in the dreamy Barbie world. 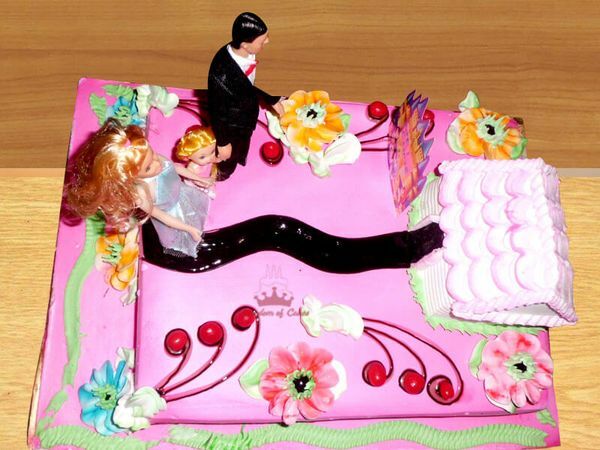 This Barbie Castle welcoming Designer Cake is one true love for the celebration of togetherness and Barbie dreams. Decorate birthday party with the Barbie theme props along with this indulging cake.